As many of you know, Facebook is currently dealing with a data privacy breach of epic proportions. Currently, the worldwide figure stands at about 87 million affected users. For those of you relying on Social Media marketing as an effective means for marketing your business, things are getting ready to dramatically change for you. First, everyone is not going to quit using Facebook, mainly because of the Fear Of Missing Out (FOMO). If they stop using Facebook, they will lose the connection they have to their friends & family. This is more valuable to most people than protecting their personal information. However, many brands and celebrities are choosing to make a public statement by severing their connections with Facebook. They are either deleting their Facebook accounts or ending their ad campaigns in solidarity. This may provide businesses the push they need to pursue other marketing channels, as the cost of Facebook advertising is only expected to rise. Facebook is facing several changes that will reduce your ability to target your market effectively, limit ad visibility, and increase the cost per impression of your ads. Part of this stems from algorithm changes Facebook made earlier this year, while other aspects are the result of the recent data privacy scandal. The main issue that many who are currently advertising, or want to start advertising, with Facebook will find is that their ability to effectively target a specific audience will be greatly reduced. Since Facebook will be pulling 3rd party data from their targeting, it will be more challenging to limit your marketing reach than before, especially in markets where Facebook doesn’t have a lot of data of their own. Reduced access to user data means that since ads will be less targeted, it will cost you more to get the same number of leads/clicks/buyers than it did before. More people will have to see your ad in order for you to reach your target audience. Earlier this year, Facebook also changed their algorithm for their News Feed, which reduced the number of ad impressions a Facebook user was exposed to. This was intended to increase user engagement by prioritizing content from their friends over content from businesses. According to AdStage, one of Facebook’s official marketing partners, in January the cost per 1000 ad impressions was up 122% over the previous year, with an increase of 77% in February. Facebook themselves admit that they are running out of places to put ads, meaning they may be reaching their peak “ad load”. Essentially, there are the same or even a growing number of advertisers, but they are now vying for fewer ad placements, which raises the cost of each impression or view. Combine this with the reduced ability to target, and you can expect to see ad costs continue to dramatically increase. 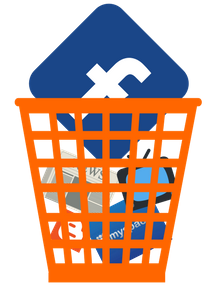 We recently discussed the death of blogging, and it seems like Facebook advertising may be going the same way. If you are using Facebook for advertising your business, your costs are about to go up if they haven’t already. If you aren’t using Facebook for advertising, now isn’t the right time to start. This doesn’t mean that Facebook shouldn’t have any role whatsoever in your marketing. It can be a great FREE service when used properly. Use Facebook as if your business were a person; connecting with people who already care about your business, posting images, sharing news about your organization, and commenting on topics you care about. Just make sure you keep it professional. The tech world moves quickly. What works today for one business, may not work tomorrow, or may not work for another business. You can help protect your business from these fluctuations by utilizing an all-inclusive marketing service, like Mark My Words Media provides. Get what you need, exactly when you need it. Reduced management time and cost. Easy to budget with controlled spend. Our whole world revolves around online marketing, so we see these changes as they are coming, and are able to adjust our marketing blend to ensure minimal impact on our clients. Our 21 years of experience and insight means we are able to utilize the most innovative, cost-efficient approaches possible to deliver results both early-on and long-term. Bonus: Check to see if your Facebook data was shared with Cambridge Analytica.